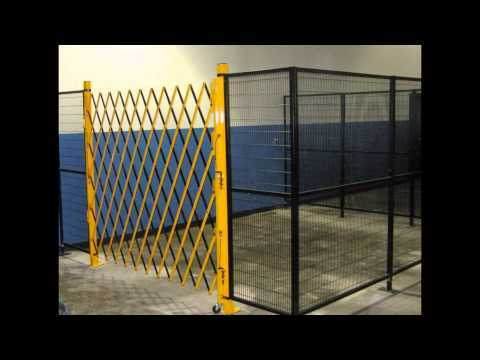 RESTRICT-GUARD is a modular hard guarding panel system with a comprehensive range of components. Constructed with a highly visible mesh, the system reduces worker exposure to dangerous equipment in the workplace. We offer a comprehensive range of panels, posts, access doors, brackets and accessories and safety interlocks. RESTRICT-GUARD is a great solution for anyone using perimeter guarding including end-user manufacturers, warehousing OEMs and automation line builders. The modular system is designed to suit a wide range of budgets and its quick and easy to install so you won’t lose valuable production time on installation. Comprehensive range of panels, posts, choice of hinges, sliding or swing doors and accessories.